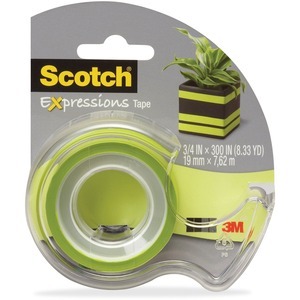 Decorate and personalize your projects with Scotch Expressions Magic Tape. This elegant matte finish tape is the perfect way to add a splash of color to any project. Write on it with pen, pencil or marker. Unique adhesive holds tape securely yet is easy to remove or reposition.